In August 1905 the Royal Navy sent the Channel Fleet to the Baltic in an unsubtle attempt at information gathering. Their subsequent experience proved that the Germans were both fully conscious of British intensions and adept at protecting their new fleet from prying eyes. This, the Society’s 152 volume, published in 2007, explores how truly valuable information was passed back to Britain from Germany during the Anglo-German naval race preceding the First World War. During the course of the Anglo-German naval race, the British Admiralty found a regular flow of information on Germany’s naval policy, on her warship construction and on the technical progress of her fleet to be absolutely vital. It was only on the basis of accurate calculations of Germany’s maritime development that the framers of British naval policy could formulate a coherent response to this alarming challenge to the Royal Navy’s long-standing supremacy at sea. While numerous sources were available to the Admiralty on the development of the German navy the most important, was the information provided by the British naval attaché in Berlin. From his meetings with German officials, conversations at social occasions, visits to naval facilities and shipyards, and personal observations of German naval politics, the British naval attaché was able to supply a regular stream of high-grade intelligence to his superiors in Whitehall. This volume examines and illustrates the work of the last four officers to hold the post of naval attaché in Berlin before the cataclysm of 1914, Captains Dumas, Heath, Watson and Henderson. By providing examples of their reporting on such crucial matters as the expansion of the German battle fleet, the goals of Admiral von Tirpitz, the development of German naval material, including Dreadnoughts, U-boats and airships, this volume of attaché correspondence illustrates a fundamental, but neglected, dimension of the Anglo-German naval race before the First World War: namely, the role of the navy’s ‘man on the spot’ in Berlin. Matthew Seligmann was born and educated in London, and read History at Edinburgh University. He obtained his MA from Pennsylvania University and his PhD at Sussex University, studying under Professor John Röhl. He specialises on Anglo-German relations and the causes of war. He taught for many years at the University of Northampton and from 2012 at Brunel University, initially as a reader, and from 2015 as a Professor. Spies in Uniform: British Military and Naval Intelligence on the Eve of the First World War (2006). Naval Intelligence from Berlin (Navy Records Society, 2007). 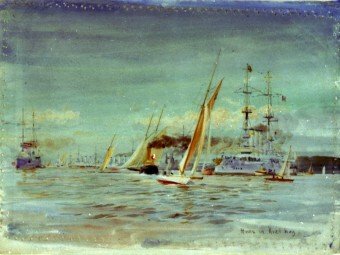 The Royal Navy and the German Threat, 1901-1914: Admiralty Plans to protect British Trade in a War against Germany (2012). Military Intelligence from Berlin (Army Records Society, 2014).